"Amy Simmonds and her All Star Team blew the doors off our prior listing agreement/firm. We had been on the market for 6 months with 5 price cuts and only 2 very low ball offers. Amy made a few key suggestions for the property, (including raising the price back to fair value), fired up her magic marketing machine, and sold our home for full asking price within just a few days of listing. We ended up NETTING more than the ASKING price suggested by our prior listing company. Service after the contract was also premier. Jen Comfort and Amy Cordeiro on the team were heaven sent. We were out of town sellers so they stepped up with getting minor cosmetic repairs and contractors as needed following inspection. All work was done quickly and reasonably in time for closing. The entire Simmonds Group process, start to finish was an A+++ experience." "After extensive research, I approached the Simmonds Realty Team to take on the task of helping an elderly dear friend and her roommate sell their home after 20 years of residency together. Both of these individuals were extremely fragile and I knew it would take a very special team to navigate the circumstances surrounding this sale. Immediately, Amy Simmonds contacted me and we spoke candidly about what needed to be done and how sensitive the situation had become for a variety of reasons. She initially expressed great empathy and quickly addressed what she and her team would do to help make this transition as easy as possible. Her professional ethics, concern for her clients and expert negotiation and communication skills are beyond my previous experiences in selling many of my own properties. Amy and her entire team did their jobs with grace and integrity from start to finish. The outcome could not have been better. This realty team well deserves this excellent rating and more!" "The level of communication and responsiveness was unlike anything we've ever experienced before, and we've bought/sold about a dozen homes over the years. Thank you Simmonds Team!" "This is the 3rd time we have used The Simmonds Team! Every time it's been the same... we never have to worry about anything. They take of all of the communication with our lender, make sure everything is on track and constantly kept us up to date. We will continue to use them if the situation arises." "We have known Amy and John Simmonds for over 10 years. We recently listed our home for sale with Amy and it was sold before it even hit the market! And at top dollar! Amy's extensive contacts and relationships built over many years, enabled her to identify potential buyers and make our entire sales process a breeze. We were overseas during the selling process and impressively Amy negotiated our deal through 3 countries and in 3 time zones! Anything that needed to be done- Amy's great contacts and team helped in making repairs, cleaning, etc. Each member of her team has a specialty which keeps the seller/buyer informed every step of the way. At any moment you know exactly where you are in the process. The entire team is friendly, professional, precise, conscientious and overall a joy to work with. For anyone selling or buying in the Jupiter area- the Simmonds Team is THE BEST! Thanks Amy and your team! We will continue referring all of our friends, family and colleagues!!" "We needed to sell a condo in Jupiter, Fl. due to the loss of a dear friend. Selling is stressful enough, but the circumstances were heartbreaking. Amy Simmonds and the entire Simmonds Team were so kind and understand through this whole ordeal. On top of that, they are the best realty team I've ever dealt with from every aspect. If you want a team of extremely impressive professionals that will get what you need done, look no further. Thanks for everything Amy and your entire team." "The Simmonds Team was very professional and responsive to our needs. When unusual issues or problems were encountered with the process, they were able to find a way to work through them to ultimately close the sale. We highly recommend this realty team." "John really knows the area and the houses. The entire team was great to work with. We were kept up to date almost daily during the closing process. Top notch firm." "All contacts with the Simmonds Realty Team were pleasant and productive. They were timely and responsive to my needs. I would highly recommend them to anyone looking to move." "Amy and John were amazing and the support staff (AmyLynn and Julia) couldn't have been more helpful! This is our second time using their expertise and we appreciate the extra miles that he always goes for us! Thanks again!" "I worked with the Simmonds team during a recent purchase of my dream home in Jupiter Farms. Everyone was very professional and courteous. The unique team approach of the Simmonds Team made the buying process seamless and stress free. The team is top notch and I am now a believer in using a Realtor! You won't regret working with the Simmonds Team, they won't disappoint." "I cannot speak highly enough of these realtors and the wider Simmonds team whom I have met, and equally admire. We were relocating from England to the US and although we knew we wanted to live in Jupiter, we had no idea where was best for our family. They carefully listened to our requirements and sent us regular listings to match, and also shared construction insights on others to then make them an option to consider. He was even able to share details with us on homes before they became public! Being in a different country is wasn't possible to view homes so Lee would take time to go and take videos, listen to traffic sounds, take additional pictures and really anything we asked to help us get a true feel for the homes. Eventually we settled on a new community and they again went over and above helping us choose our 'lot number' from afar. Since moving over and closing yesterday, the team have been on hand to help every step of the way. I will never buy a home from anyone else again! Truly the best!" "I just sold my town home in Jupiter with Amy and the Simmonds team. I could not have expected such a perfect experience. The last home I owned took a year to sell. This one took a couple of months, if that, start to finish. They took the time to ask me what my goals were, made the process easy for me to manage out of state. It was turn key and hands off for me. They were very honest and responsive, making sure I understood every step in the process as it was about to happen. They are super professional and functional team and I would highly recommend them to anyone based on that and their knowledge of the area and market." "The Simmonds team made looking for a rental quick and stress free. They were always quick to respond to concerns and/or questions that I had and everything went very smoothly. I would definitely work with them in the future. Thank you!" "Wonderful team to work with. Very helpful and knowledge. I would highly recommend to anyone looking to purchase a house. The team walked you through house hunting to closing." "John Simmonds took us to over 20 homes until I found my dream house. He then used his expertise in helping us negotiate until we reached a mutual agreement. We will continue to refer John to friends and family given our great experience!" "Excellent and professional team that answered every question and covered every aspect of my rental property. Having to evict my last tenant, I was very concerned about the process the Simmonds team was perfect and will definitely use them again." "The Simmonds Team knows the inside scoop about Florida. They are very helpful and walked us through every step of selling our home. They spent time with us before we listed with them as well as all through the process. We would recommend them as well as to use them again in the future." "The team was great, they were prompt, insightful and very pleasant. They had great knowledge of the area and really made the process really easy. By far the best experience I have ever had. I would recommend them to all my friends and family." "The Simmonds team has always exceeded our expectations! They are hard working and a pleasure to work with. I felt comfortable working with them to find the right house for my family and their many connections in the community got us the house we dreamed of!" "The Simmonds Realty Team was wonderful to work with. They are very professional and made the stress of selling my home go smoothly. From the start, Amy took charge and staged my home perfectly to sell. The home was then thoroughly marketed. Amy’s extensive knowledge of the housing market was extremely helpful in arriving at a sales price. I have two big dogs which were potential problems when showing my house as they had no where to go. Amy and Jennifer were very accommodating and took care of the dogs while potential buyers looked at the house. Every person on the team was extremely knowledgeable in the process and very responsive. I was guided through the process with extreme expertise. Any questions I had were responded to immediately, and always within the same day. I received monthly reports on the actions taken and showings which occurred. After my house was under contract, I was guided through the closing process with ease. I would highly recommend the Simmonds Realty Team to anyone planning on selling their home." "From area expertise, showing me properties that fit my parameters to close the Simmonds team is had my back every step of the way. They made the process very comfortable during a stressful period." "The Simmonds Team did an outstanding job selling my home and helping me find my new one. The photos of my house were professionally done and had hundreds of views prior to the house being shown for the first time. Amy is a top notch realtor and knows how to sell homes quickly!!" "Extremely happy with my experience. I met Amy when my daughter and her husband were buying their house in Jupiter a couple of years ago and I thought she was the best. Her enthusiasm was contagious. When I moved to Jupiter last year I didn't think of calling anyone else but the Simmonds Team. Lee was with me all the way and his negotiating skills helped get the an amazing deal on a gorgeous condo. He was very knowledgeable and encouraging and his sense of humor is great too. Excellent experience. Thanks Simmonds Team!!" "When purchasing our first home last year in Jupiter, we had an excellent experience with the Simmonds team. We have twins that were infants at the time, so we were quickly outgrowing our small townhome and needed to find a home fast. After a few months of a less than wonderful experience with another local realty company, we decided to switch to Simmonds after reading about their reputation on Zillow and we were not disappointed. Lee was able to quickly schedule showings in the small and competitive local market and was knowledgeable about Jupiter demographics and market trends. This helped us to make a quick but informed decision on a home. We are very happy with the purchase price Lee helped us negotiate and we are very happy in our new home! We would recommend the Simmonds Team to anyone, there is a reason they have such a great reputation!" "John and Amy are awesome. They have helped me over the years. They sold my house in New Haven when the market was soft. They helped me find a great deal on a house in Jupiter and when I needed to find a rental in Jupiter for my elderly Mom John found the perfect one!" "The Simmonds Team helped my family find our dream home 2 years ago and just recently found my mom the perfect condo for her. The entire team is both professional and personable and go above and beyond to make their clients happy. I recommend the Simmonds Team to anyone looking for a new home in the Jupiter/Palm Beach area." "We have worked with the Simmonds Team twice now and both times they could not have been more professional and easy to work with. 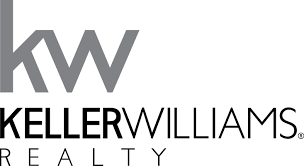 We highly recommend them for all of your real estate needs no matter how big or how small!" Amy Simmonds and her All Star Team blew the doors off our prior listing agreement/firm. We had been on the market for 6 months with 5 price cuts and only 2 very low ball offers. Amy made a few key suggestions for the property, (including raising the price back to fair value), fired up her magic marketing machine, and sold our home for full asking price within just a few days of listing. We ended up NETTING more than the ASKING price suggested by our prior listing company. Service after the contract was also premier. Jen Comfort and Amy Cordeiro on the team were heaven sent. We were out of town sellers so they stepped up with getting minor cosmetic repairs and contractors as needed following inspection. All work was done quickly and reasonably in time for closing. The entire Simmonds Group process, start to finish was an A+++ experience.